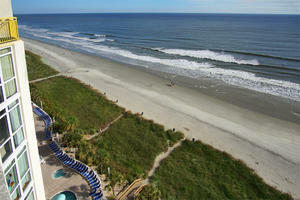 Have one awesome day after another when you vacation at Baywatch II 1520 in North Myrtle Beach, South Carolina. 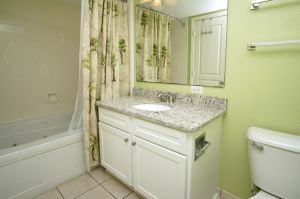 This condominium rental is fabulously furnished. 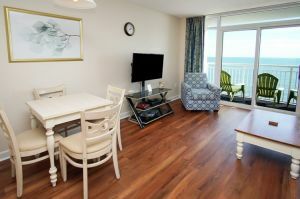 This delightful one bedroom, one bath condominium is an oceanfront vacation rental in North Myrtle Beach, South Carolina that boasts a small kitchen. You can keep your cooler in the car when you vacation in this condo rental because there is a full-size refrigerator in this oceanfront condo that will keep your drinks cold. 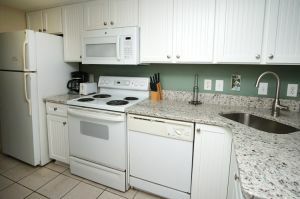 There is also a stove so you can make a quick meal or cook muffins for breakfast if you want. 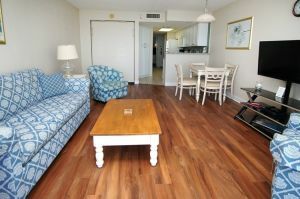 This North Myrtle Beach vacation rental is equipped with televisions and DVD/Bluray players. The HDTV is Netflix-ready. Guests must use their own Netflix account. 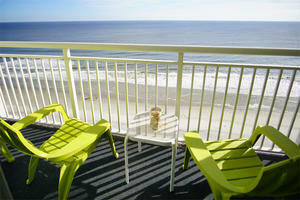 Bay Watch II 1520 is an oceanfront condominium where the best view of the Atlantic is enjoyed from the private balcony. 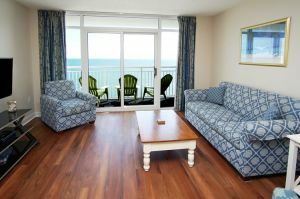 Open the balcony doors and let the ocean breeze blow inside this North Myrtle Beach vacation rental. Ride the elevator to the pool deck where a path leads the way to the beach. Kick off your shoes and enjoy quiet time on the beach at Bay Watch Resort. This North Myrtle Beach resort is smoke free and boasts three oceanfront pool decks -- each one a little different from the next. Scattered among the pool decks and inside the resort you will find swimming pools, hot tubs, lazy river and a kiddie pool. There is even a game room on site, and a fitness center and restaurant, too. 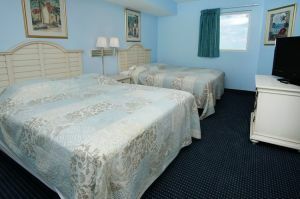 Bay Watch Resort is a North Myrtle Beach vacation destination that has it all. Nearby is a fishing pier, marinas with deep-sea fishing charters, numerous golf courses, restaurants with fresh seafood, shopping and family attractions. Departure maid service is required.